I love finding new products at the grocery store. If it sounds good and I have never tried it, most likely it will be finding it's way home with me. As soon as I heard that Del Monte was releasing Diced Peaches with Cinnamon & Brown Sugar, I knew I had to try them. 5. 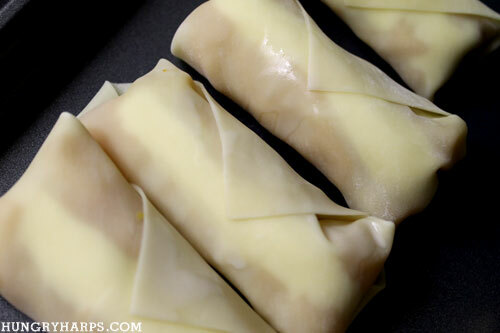 Fry each egg roll for 3-4 minutes, or until golden brown. 6. Sprinkle with powdered sugar and enjoy! I expected the peaches to be good, especially since I already like cinnamon and brown sugar - but they surpassed my expectations. 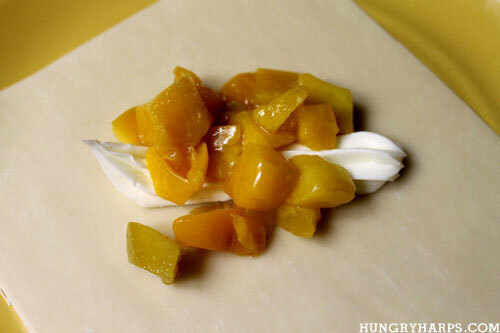 The peaches are FULL of wonderful flavor and worked great for this recipe. I am already planning to make a bread pudding with them too - they are that good! 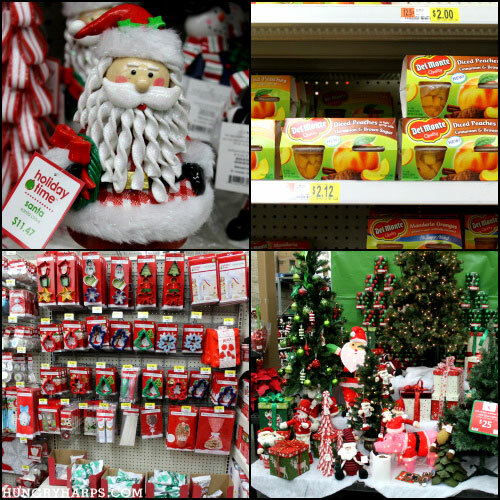 Check out our shopping trip with Google+! Those are so creative! They look delicious. Gosh, you're creative (oops, someone already said that)--but it's true. I wouldn't have thought of this type of dessert in a hundred years! You fold those eggrolls so expertly too. 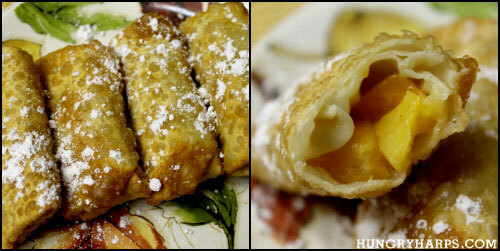 If you make a dessert like this again, can you please show all-thumbs cooks like me how to fold eggrolls? Thanks again for sharing. Love visiting (and thanks for joining my site)!! What an awesome idea! This sounds so yummy, and you make it look so easy. Thanks for the recipe!